Posted in GPGHotest News, GPGIndustries News, Volcano Box...Ahead of all | Comments Off on VolcanoBox 2.4.5 MTK Android 6572 Scatter file & much more..
GPGINDUSTRIES WHSH YOU 2014 HAPPY NEW YEAR!!! 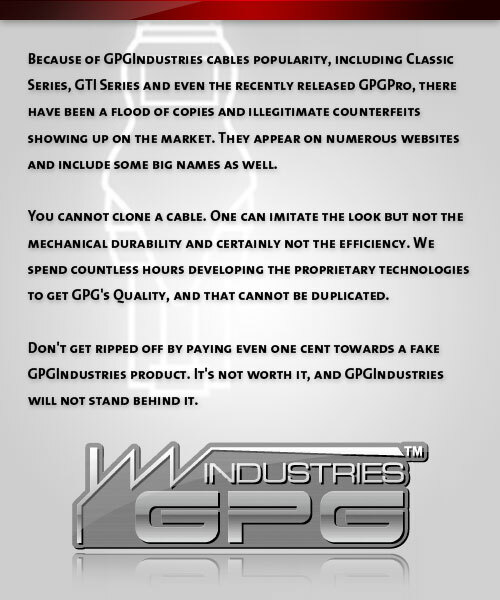 Posted in GPGHotest News, GPGIndustries News | Comments Off on GPGINDUSTRIES WHSH YOU 2014 HAPPY NEW YEAR!!! Posted in GPGHotest News, GPGIndustries News | Comments Off on UART Clip!!! VolcanoBox 2.4.3 Nokia 108 Read – Write – Format & MTK6582 IMEI Repair !!! You must use This Flash file to Flash phone !! You must Uninstall All Nokia Drivers and then install it. if it create problems then you must install it Manually. here is pinouts . Posted in GPGHotest News, GPGIndustries News, Volcano Box...Ahead of all | Comments Off on VolcanoBox 2.4.3 Nokia 108 Read – Write – Format & MTK6582 IMEI Repair !!! you have to make sure your phone firmware is not high than 4.2.2 ( we supported imei repair till 4.2.2 ). you have to root your phone. after root make sure usb debug is on and connect phone with original samsung usb cable. open GPGeMMC software and click on Signal Repair and do wait after software finish now you can repair/change imei to any number… YES any desire number of your choice. for doing this after signal repair you have to power on phone and use SPECIAL IMEI REPAIR cable. connect cable to phone in powered on condition and install drivers if needed. go to device manager and find what port is it make. now go to software do scan port and select proper port and write imei of your desire click on unlock and restart phone and do it. after phone restarted your phone’s imei will be repaired/changed. Please note if your phone is 4.3 then you have to downgrade. Please use Memory Card Flashing to downgrade phone keep in mind that original platform can’t downgrade it. if it’s need imei change then you must use super imei for this. How to use super imei ? downgrade phone to 4.2.2. put phone into download mode and use EFS repair after click on super imei and tick unlock and restart phone and do it. suggestions do not use 4.3 after repair by repair card. better use 4.2.2. else you can repair/change imei. don’t worry if your phone have not imei or not baseband after repair signal. just flash the phone it will solve it. with ISP you can Read / Write / Erase etc to Direct eMMC ic without Unsold it. We have Provided ISP pinouts in it. you just sold wires and do your work. You don’t need to Unsold eMMC ic then Sold eMMC ic to any External JIG and write/Repair then Unsold it from Jig and Sold back to phone. this is most risky procedure. So you don’t have to worry about it. just Sold Wires directly to Phone PCB pinouts which we provide and do you work. Motorola Iden – US Activation Required – Contact Your Reseller For price. MF100 – Read Info/Unlock/Read Dashboard/Write Dashboard. MF112 – Read Info/Unlock/Read Dashboard/Write Dashboard. MF190 – Read Info/Unlock/Read Dashboard/Write Dashboard. MF330 – Read Info/Unlock/Read Dashboard/Write Dashboard. MF332 – Read Info/Unlock/Read Dashboard/Write Dashboard. MF335 – Read Info/Unlock/Read Dashboard/Write Dashboard. MF60 – Read Info/Unlock/Read Dashboard/Write Dashboard. MF616 – Read Info/Unlock/Read Dashboard/Write Dashboard. MF620 – Read Info/Unlock/Read Dashboard/Write Dashboard. MF622 – Read Info/Unlock/Read Dashboard/Write Dashboard. MF626 – Read Info/Unlock/Read Dashboard/Write Dashboard. MF627 – Read Info/Unlock/Read Dashboard/Write Dashboard. MF628 – Read Info/Unlock/Read Dashboard/Write Dashboard. MF630 – Read Info/Unlock/Read Dashboard/Write Dashboard. MF633 – Read Info/Unlock/Read Dashboard/Write Dashboard. MF635 – Read Info/Unlock/Read Dashboard/Write Dashboard. MF636 – Read Info/Unlock/Read Dashboard/Write Dashboard. MF637 – Read Info/Unlock/Read Dashboard/Write Dashboard. MF637U – Read Info/Unlock/Read Dashboard/Write Dashboard. MF60 Router – Read Info/Unlock/Read Dashboard/Write Dashboard. Nokia 108 Combo cable by GPGIndustries!!! Posted in GPGHotest News, GPGIndustries News | Comments Off on Nokia 108 Combo cable by GPGIndustries!!! Posted in GPGHotest News, GPGIndustries News, zzkey | Comments Off on zZKey SmartZ released v1.7.21! Motorola OMAP STAGE 1/3!!! Posted in GPGHotest News, GPGIndustries News, Volcano Box...Ahead of all | Comments Off on VolcanoBox 2.4.1 SPD 6531 & MTK 6572 IMEI Repair & Coolsand & More ! !